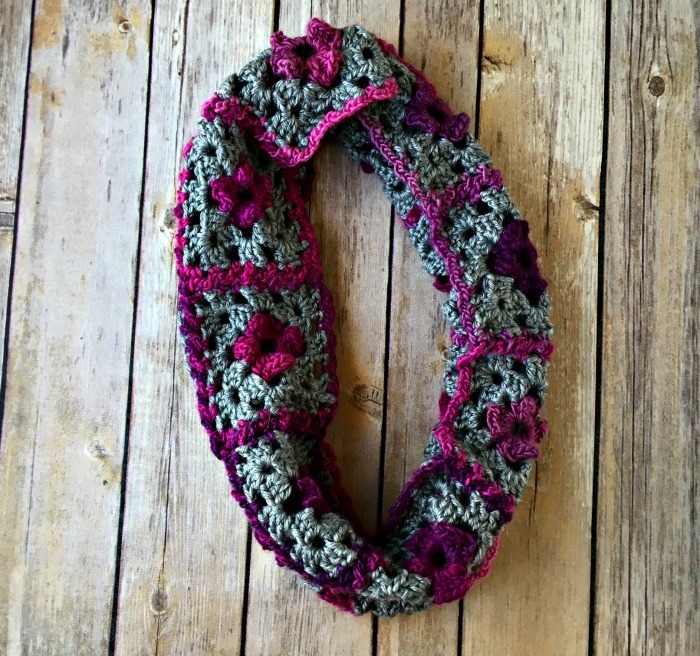 Floral Granny Cowl - Free Crochet Pattern - love. life. yarn. 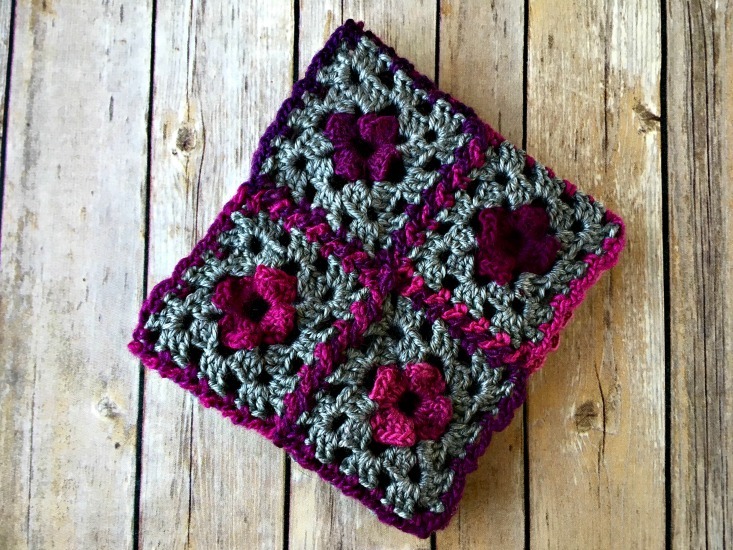 I so loved these little granny squares I used for the Unforgettable Tote that I really wanted to create a new project with them. 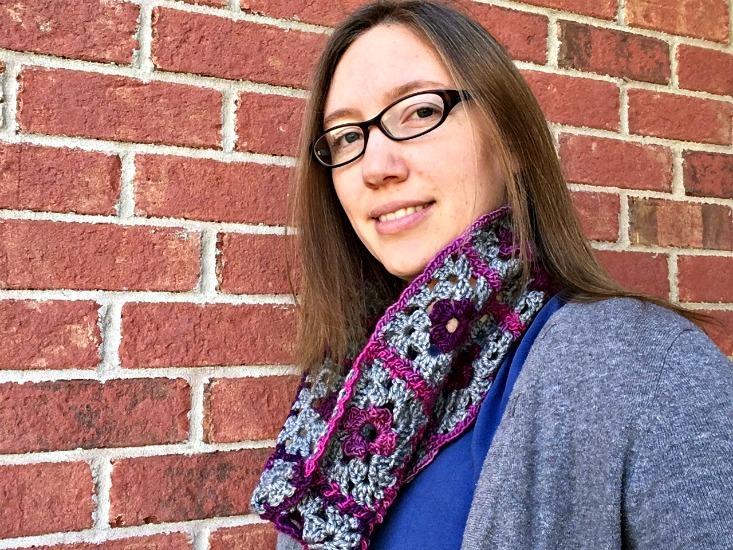 I thought for a long time before settling on a cowl pattern. I wanted something that didn’t take long (I have a couple of longer projects in the works and just needed something quick!) 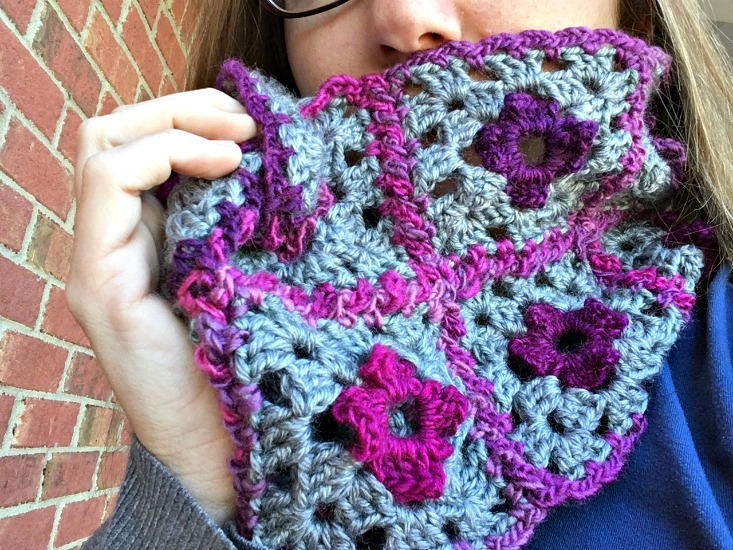 and I wanted a cowl that was made from granny squares. It took quite a while for me to decide on a joining method for these squares and I finally fell in love with this cabled join – I like how the changing colors of the yarn really make the cables stand out. I’m definitely going to try this join again! I am working on a video tutorial for attaching these exact squares, but until I get it ready (it’s so hard to find quiet time to film with my 3 boys running around!) I found a video that shows the technique. I’ve included a link to it below. 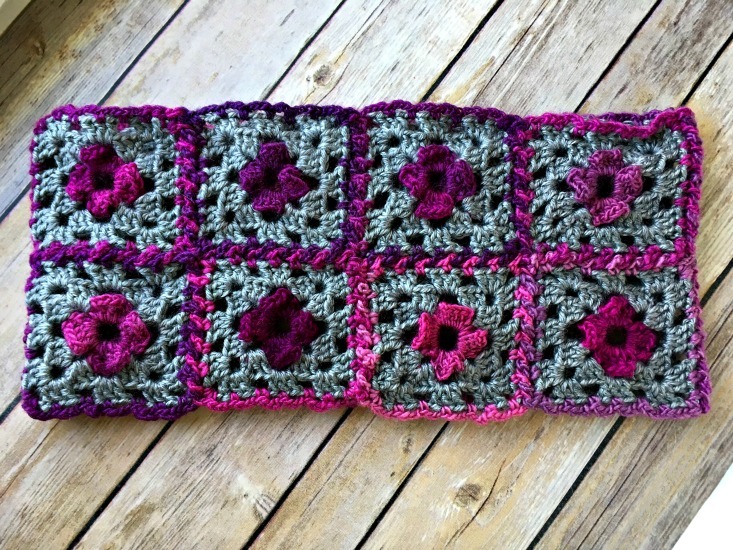 Using the Floral Granny Square Tutorial, create 16 squares. Join MC in any corner of square. *Ch 3, sc in 2nd dc from corner, ch 3, sc in ch-2 sp, ch 3, sc in 2nd dc, ch 3, sc in ch-2 sp, ch 3, sc in 2nd dc, ch 3, sc in ch-3 sp, ch 3, sc in ch-3 sp, repeat from * two more times, ch 3, sc in 2nd dc from corner, ch 3, sc in ch-2 sp, ch 3, sc in 2nd dc, ch 3, sc in ch-2 sp, ch 3, sc in 2nd dc, ch 3, sc in corner , ch 3, slip st to bottom of first ch-3. Fasten off. When joining squares, join MC in any corner of square, ch 3, remove hook from loop, insert hook into corner ch-3 of next square, pull loop through ch-3 space, sc in 2nd dc of 1st square – repeat directions for edging first square, being sure to pull ch 3 of the square you are working through ch-3 of other square. If you need help, this is the video tutorial I used to figure it out. 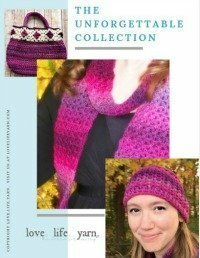 I hope you’ve enjoyed this easy free pattern! I love sharing my designs with you and love seeing the amazing things you create!